A delightful experience, incredible beach and sunset views. 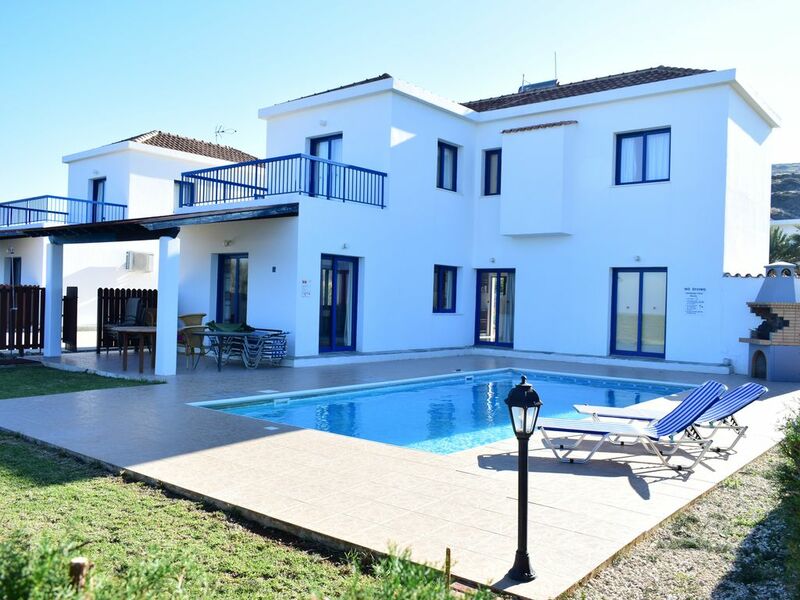 Located 20 km from Polis, 55 km from Paphos and a few seconds from the beach. This villa is well-suited to either a couple seeking privacy, or a family vacation. The master bedroom has a King sized bed and En-Suite bathroom with a bath. The master bedroom also has a sliding glass door to the balcony. The other 2 bedrooms are comfortably furnished with two beds each and are right next to the guest bathroom with has a shower / bathtub. One bedroom on the ground floor with a sliding glass door next to the swimming pool and the other on the 1st floor. There is also a washing machine by the kitchen. In the Kitchen there is a microwave, filter coffee and espresso machine, with a few complimentary capsules. There is also a fire extinguisher, fire blanket and smoke detectors. The living room is furnished with a flat screen TV. The TV gets all the local broadcast channels. There are 2 sofas in the living room. The outside area has a private swimming pool with sunbeds, umbrellas and a BBQ. There is free parking available. We respect the privacy of our guests but we are always available on the phone for any queries or help to make your stay even more pleasurable. There will be an additional cost of €7 for each air condition per day in case the guest need it.